A few years back we were really big on kickball. It was awesome. We played just about every Sunday. It was especially cool because we had an opportunity to meet some cool new people, one of which was Vicki “24” Harcrow. We called her 24 because on the kickball field, she was golden (like 24 Karat Gold… get it?). She could kick, she wasn’t scared to slide to the bases, and most of all, she could catch anything that came her way. 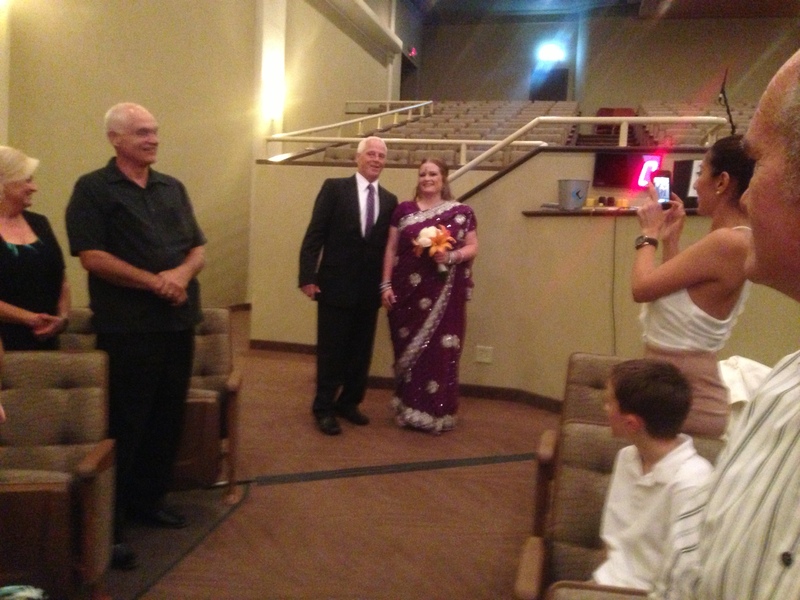 On Friday, Sept. 13, 2013, we were blessed to be able to attend her wedding. It was really nice and casual. It was held at Grace Church in the Heights (where 429 is held on Saturday nights). Really fun venue. 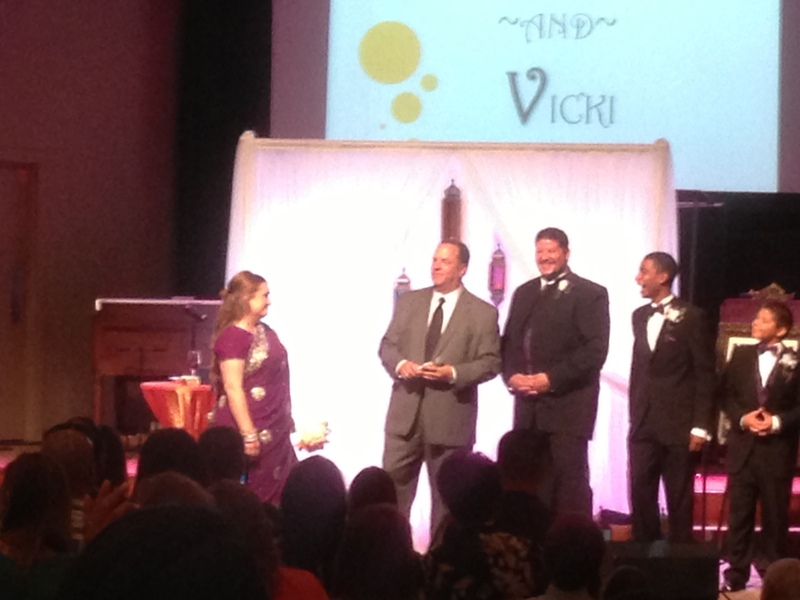 Vicki didn’t run with a traditional wedding gown, but rocked a sari! Her groom waited with his sons to join ’em on stage. 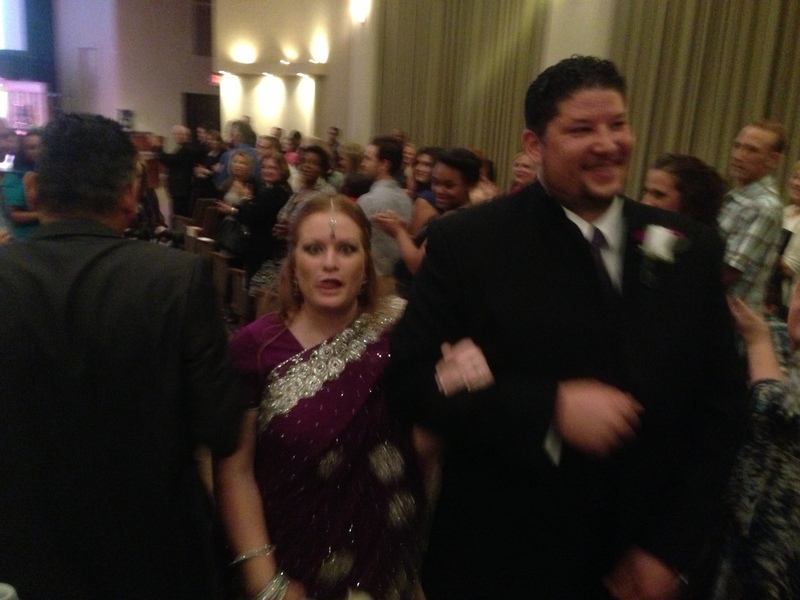 After a nice message and great marital advise, they walked back up the aisle as husband and wife! Vicki’s not shy with the camera, wedding or not she keeps it real… real goofy. After the ceremony, there was a tasty dessert reception so we kicked it for a bit with our buddy Lisa. Layla wanted some grub (mac and cheese to be exact), so Lisa suggested Shepard Park, which was just around the corner from the church. 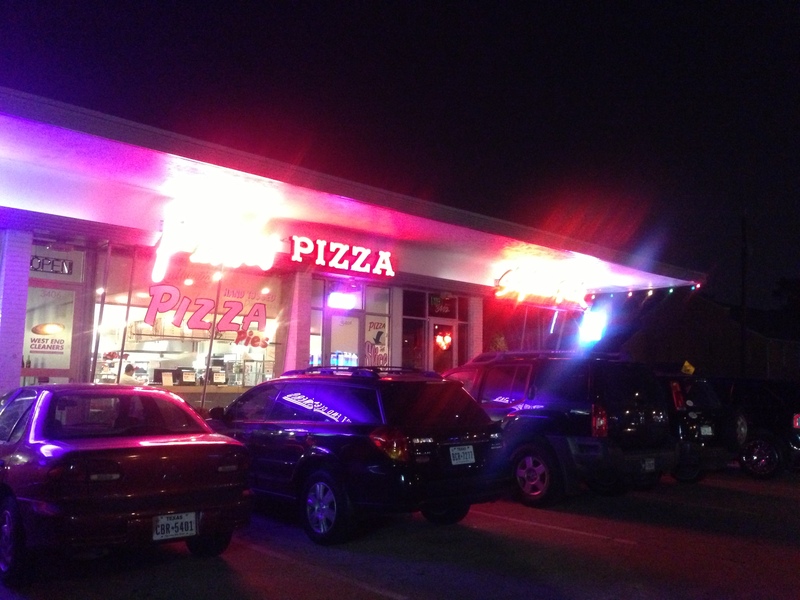 The neon lights didn’t allow for a solid pic, but its right next to a Pink’s Pizza on the corner of Shepard and 34th. Awesome food and really cool vibe. 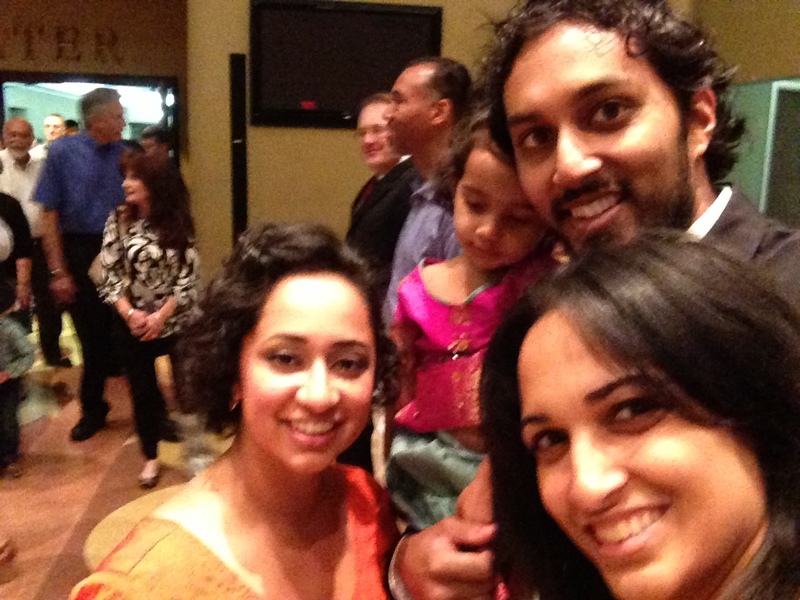 It was kinda weird walking in suited up and the gals in their Indian garb, but it’s all good. 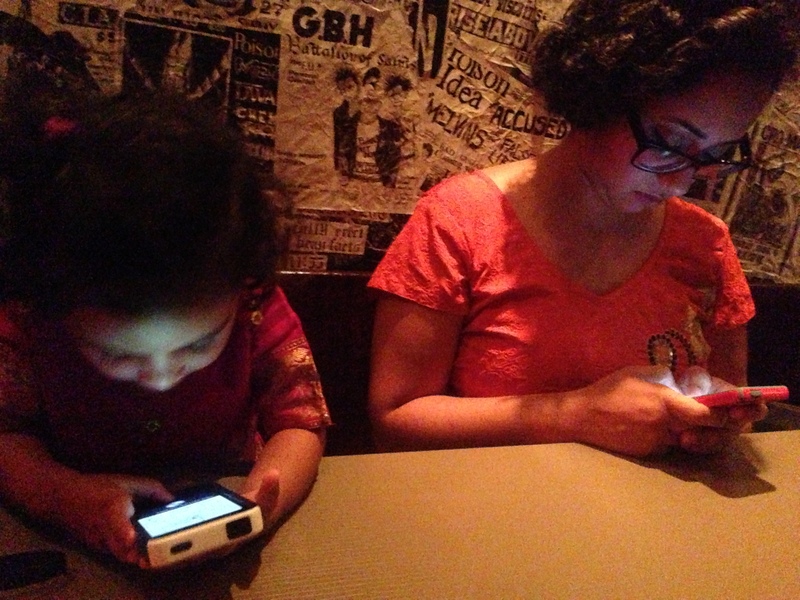 The little ones spent some of the time texting their buddies while the grown ups ordered the food. Overall a great night. 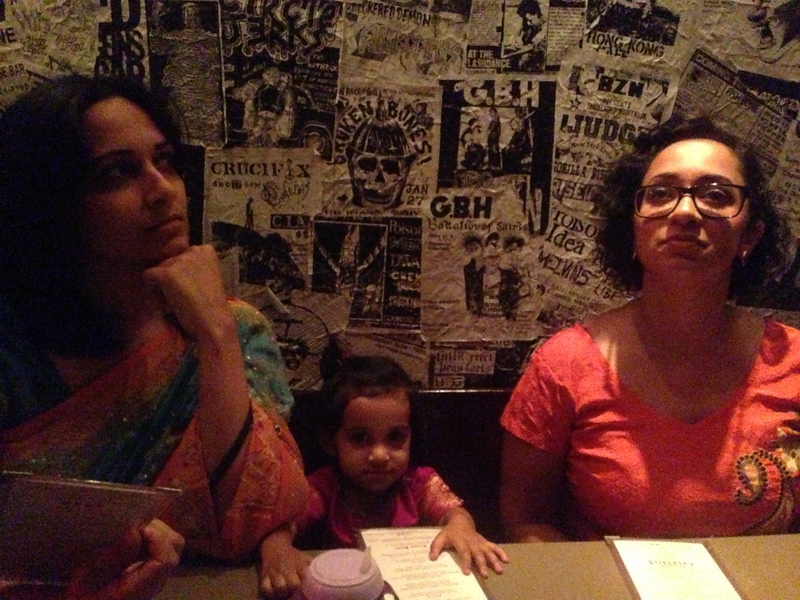 We were exhausted so we ended the night relatively early, which was good because the next day was Layla’s birthday party (blog to follow). Congrats Vicki! We had a blast at your wedding and wish you nothing but the best! Next Post Layla’s 2nd Birthday! Hey Sajan! Peter and I really enjoy reading your blog as we feel like you and Sheena are role models/mentors. All the house posts are especially timely (we have water at the end of our alley, our grass is patchy, our foundation is needy, etc). The family & friends posts are always a joy to read as well (especially liked the one where you had to call your friend to help you when you ran out of gas, haha). Looking forward to reading many more posts!